Technology is barreling full force through more and more sectors of health care, knocking down conventional forms of treatment, and erecting unfamiliar ones in their place. Mental health is no exception. From smart phone apps, to pulse monitors, to chatbots, the forces of automation, artificial intelligence, and big data, have begun to alter where, when, and how individuals seek therapy. Whether autism falls under the domain of mental health is still often up for debate — it’s defined by the Diagnostic and Statistical Manual of Mental Disorders as a social communication disorder — but many children with autism struggle to recognize the emotional states of those surrounding them, and also experience a host of mood, anxiety, and issues with sleep. Robots, however, might be able to help. “There’s a lot of potential for robots to help autistic children because they feel non-threatening and children want to explore a relationship with them,” says Lionel Robert, associate professor at the School of Information at University of Michigan. Over the past several years, researchers in various corners of the country — from Los Angeles to Dallas to New Haven, Con. — have been developing socially assistive robots to help autistic children practice their communication skills. For some, it might seem counterintuitive to develop a machine, in all its sterility and impersonality, to guide children already struggling with sociability, but Professor Maja Mataric, founder and director of the Interaction Lab at the University of Southern California, says the idea, in actuality, stems from the aloofness of humans. “Children with autism get ostracized. 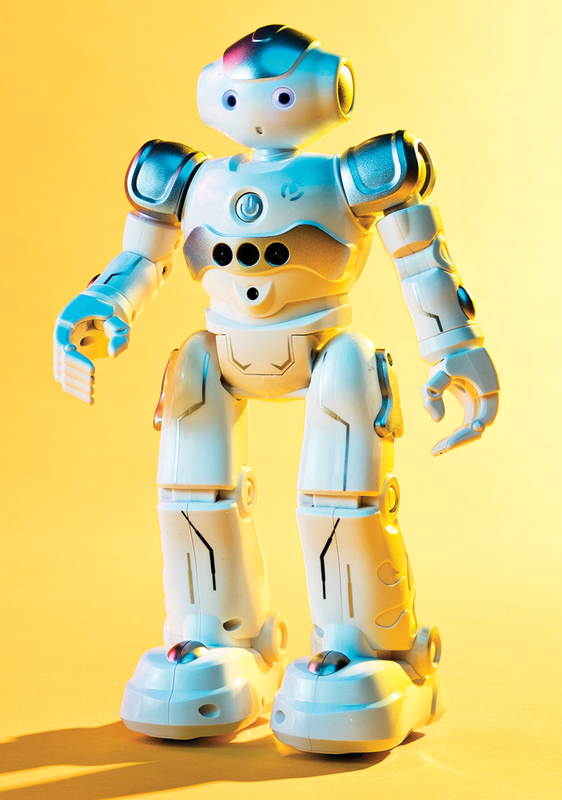 They need to practice social skills, but because they have social deficits other kids won’t play with them.” A robot, then, becomes a companion. It cannot discriminate against the child, and it’s programmed not to get frustrated with their difficulties in communication. The problem is that all children with autism are not the same. While some have trouble with social interactions due to challenges making eye contact with people, others might struggle because they are put off by the human likeness in its entirety. “There is no fixed answer on the best technology for autism, let alone for each individual child. And what’s best can and will change over time,” Mataric explains. Technology is disrupting mental health care with methods beyond robotics. One of the fears that comes with these robots, spawns from the fact that humans are surprisingly susceptible to the wiles of technology. “If you can get something that does what you want it to do, looks the way you want it to look, and agrees with you, then you start to run into this problem of not being able to tolerate human interactions with people that have different opinions,” Robert cautions. So autistic children — who are already averse to interacting with people in general, let alone people who may challenge them and push them out of their comfort zone — could also run a similar risk in the long run. “The good thing is that children don’t immediately see an entity with arms and legs and assign a set of expectations to it the way adults do. That’s because children have fewer experiences,” he says. Still, Robert believes the key is continuing to make sure that autism robots occupy a “third space,” somewhere between human and automaton. “Robots are always a bridge,” he says. It’s the case with most forms of technology, in the end, it comes down to balance. There’s now an app for many of the most common mental health conditions, from Quit That! for combatting addiction to Recovery Record for managing eating disorders to Headspace for mindful meditation. “In metro Detroit, the tech scene is interesting,” says Gerry Roston, entrepreneur-in-residence at entrepreneurial hub TechTown Detroit. “In Detroit, you find people who’ve experienced an issue, and want to solve it.” According to Roston, those solutions often involve apps. 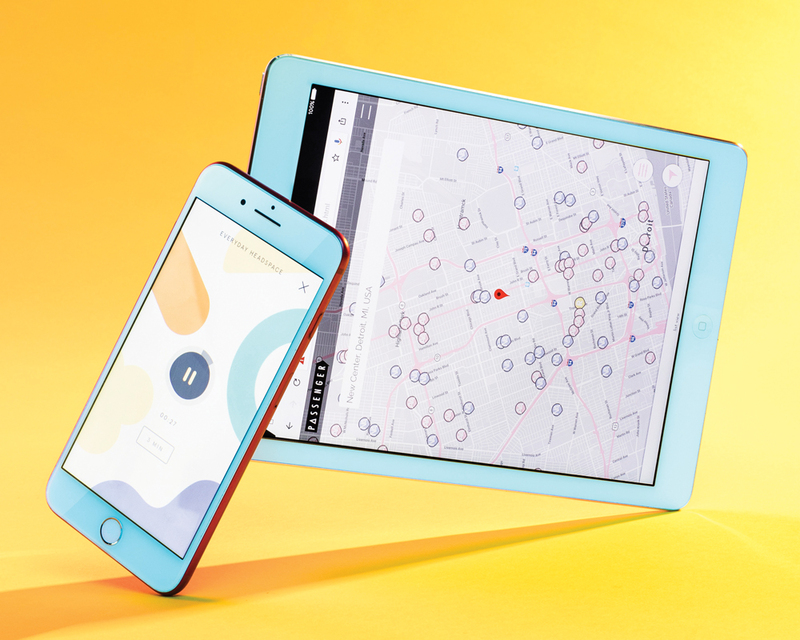 Here, a few Michigan-developed apps to download now. In 2015, University of Michigan School of Public Health Professor, Vic Strecher, lauched JOOLHealth, which uses big data, collected from over 20 biometric sources, to help users build a predictive model of themselves. “You can rate how creative you’ve been or how present or mindful you are, and over time the app also collects data about your environment … and ultimately enables you become a better researcher of yourself,” says Strecher. Visit joolhealth.com for more information. Chris Tait and Matt Tompkins, both members of Detroit-based band Electric Six, built The Compass after years of struggling through life on the road. The app is still in “beta stage,” according to Tompkins, but it connects travelers in recovery to resources like Alcoholics Anonymous, Narcotics Anonymous, and National Alliance of Mental Illness meetings in Detroit, Chicago, Austin, Minneapolis, and parts of Ohio. Visit passenger-recovery.firebaseapp.com for more information. The Ann-Arbor based startup, Spellbound, uses augmented reality to help young patients cope with the anxiety of going through painful medical treatments. “Managing pain and anxiety upfront is something a lot of clinicians are really interested in because it can prevent phobias from developing around health care,” says Spellbound CEO, Christina York. While Spellbound only targets children at the moment, York is eventually hoping to cater to adults and veterans. Visit spellboundar.com for more information. Popularized by the Fitbit, There is a growing slew of wearable tech that tracks heart rate, breathing, sleep patterns, and more. 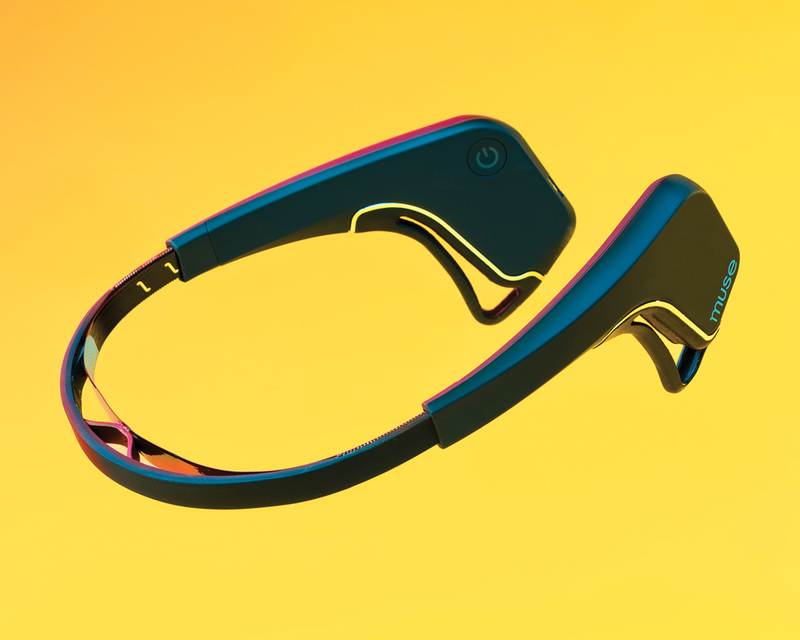 The Toronto-based company, Interaxon, sells Muse, a headband armed with EEG sensors that monitor brain activity to help users track brain activity during meditation. At Wayne State University, Professor Amar Basu is creating a heart rate monitor in the form of an earring, scheduled for release in 2019. “There are certain types of diagnostics, like heart rate monitoring, that are appropriate to do continuously,” he says, “and the advantage of wearable sensors is that they allow you to do that.” One of the metrics he’s most focused on is heart rate variability, which is defined by the Harvard Health Blog, as a “measure of the variation in time between each heart beat” — not to be confused with heart rate, which is simply the number of times the heart beats per minute. While heart rate variability is primarily used in cardiovascular health, it has applications in mental health, as well. “If you’re always under some level of tension then your body’s fight or flight response starts to die away, and you enter a hyper vigilant state where your heart rate remains at a constant level due to stress, so your heart rate variability is low,” Basu explains. “If your heartrate is constantly fluctuating, however, that means your variability is high, and you’re much more resilient to stress.” Wearable sensors like the earring he’s developing can potentially help people understand biological triggers of their conditions, putting them in a better position to treat them. (Pictured) Interaxon Muse, $179, at Muse; choosemuse.com.